Winnie-the-Pooh, also called Pooh Bear, is a fictional bear created by A. A. Milne. 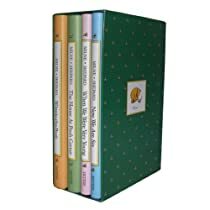 The first collection of stories about the character was the book Winnie-the-Pooh (1926), and this was followed by The House at Pooh Corner (1928). Milne also included a poem about the bear in the children’s verse book When We Were Very Young (1924) and many more in Now We Are Six (1927). Don’t underestimate the value of Doing Nothing, of just listening to all the things you can’t hear and not bothering. It’s more fun to talk with someone who doesn’t use long difficult words but rather short easy words like What about lunch? People say nothing is impossible, but I do nothing every day! You can’t stay in your corner of the forest, waiting for others to come to you; you have to go to them sometimes.